The Starlight Chateau is not only an indoor wedding space but also a garden wedding venue. At this one location, you can choose from a few different spaces for your ceremony and reception. The versatility of this space is one of its most appealing aspects. There is a chapel ballroom and skylight room inside and then two different courtyards outside. This venue has also been chosen by many couples who want to design their entire day themselves, allowing outside vendors to come in and cater, decorate etc. 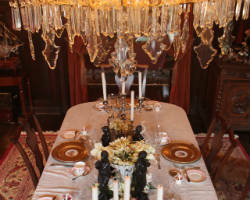 Brandeis Mansion has been a well-known name in Nebraska as a small wedding venue. This large house has indoor spaces for an intimate and elegant dining experience as well as lush gardens surrounding the estate. This charming location has been used for weddings, birthday parties and small gatherings at a relatively affordable price considering the beauty of the space. The background for your event offered by this venue, including chandeliers and dark wood accents, will make it unforgettable and undoubtedly classy. DC Centre Banquet Facility has been chosen by many couples to host their wedding because of their extensive services and flexibility. 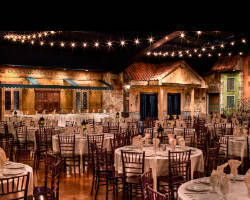 The staff at this venue has one goal: to make your big day as special and as close to your wedding vision as possible. They offer assistance with the entire day. In their elegant reception hall, they will set up the party including arranging the bar, servers and tables as well as decorating the entire space. 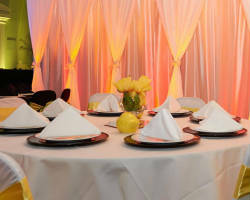 Having your event here ensures you will have a stress-free wedding. 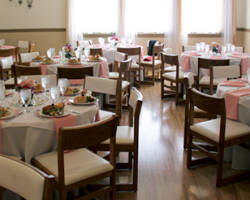 Scott Conference Center is perfect for larger wedding receptions, though it can be intimate for groups of any size. 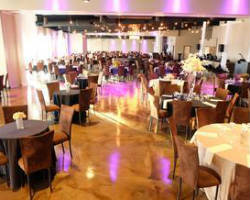 As one of the largest wedding venues in Omaha, NE, this space can accommodate up to 500 guests. The wedding package this space offers is everything you could want to make your day go as smoothly as possible such as: set up and cleanup, catering, serving and decorating, to name a few. This space is far from the traditional wedding chapel, as it can be made to suit any event style. 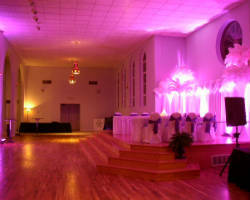 Arbor Hall specializes in weddings and special events. They know how to make the most important day of your life feel as elegant and as beautiful as you’ve always imagined. There is an outdoor garden that has been used for ceremonies and an indoor banquet hall that has hosted countless parties and celebrations. This Omaha wedding venue truly has it all when you consider the in-house catering, full bar and custom ceremony and reception design services that are offered when you book the venue. A View Events has reception and ceremony rentals that are always beautiful and romantic. While many venues offer rates for the entire day or simply a few hours, A View Events offer rentals based on a 6-hour time frame for your event. As this is the time that most ceremonies and receptions last, this amount of time is best for most couples, and if it is not, you can work with the venue to make adjustments. 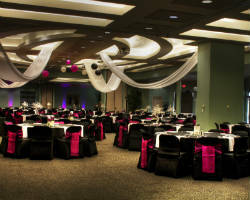 This venue offers complete services through their event coordinators. If you are not having a traditional event and are truly looking for a party venue, then look no further than Castle Barrett. 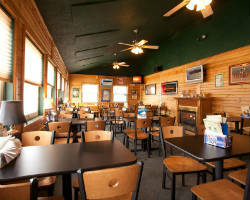 This venue has space for any kind of celebration including reunions, Quinceaneras and weddings. There is no background more unique and more special as the background for your wedding day. With experience hosting many weddings and catered events, you can be sure that that they will handle everything behind the scenes while you get to enjoy a day that is completely about you and your partner. Bella Terra has been styled to reflect the owner’s love of Italy and authentic vineyard style of Tuscany. This style is perfect as a background for a lovely wedding any time of year. Reviews of the venue make it clear that they are flexible and go above and beyond to make you feel at ease when you walk down the aisle. Not only is this venue able to meet your demands, however unusual, but the beautiful spaces they offer are relatively cheap when you consider the services that come included.